My name is David Weitzman, MD. I am the Chair of the American Academy of Urgent Care Medicine (AAUCM). In 2013, I was tasked to create a physician residency and training program in Urgent Care Medicine (UCM). The result is a 503(c)(3) educational non-profit known as the US Committee on Graduate Medical Education. For more than three years a group of physician leaders have been developing this UCM residency and training program. A program independent from other organizations, yet certified for medical education so that any physician may be licensed in any state. These programs will lead to board eligibility for the American Board of Urgent Care Medicine (ABUCM). In addition, we are developing a one-year program for physicians in other specialties to be trained in UCM so they may be board certified. This training program is different than many current residencies and training programs in the United States. A humane, professional educational environment is required. One of common purpose; focused on imparting the knowledge, skills and abilities to become the best physician a person can be. The Educational Commission will no longer tolerate the current climate of abuse and degradation. This training system keeps medical students from growing into physicians. Physicians were never envisioned to be assembly line workers, seeing as many patients as humanly possible. There are no acceptable reasons for medical residency programs and physicians to have one of the highest suicide rates in the country. NONE. The ABUCM is not focused on extracting money from physicians. There will be NO Maintenance of Certification (MOC™). We will be focusing on physician growth and development. No stagnation, no constant review of known material, no constant dipping into physicians’ pockets. We need funding to start the process to make these changes and develop a new, nurturing, professional and highly supportive educational environment. We accept private and commercial donations. The estimate for these goals are approximately $250,000. We have engaged a legal firm that specializes in this type of work. These funds will primarily be used to pay for outside legal and consulting entities to complete this process. Everyone who serves on this committee has been a VOLUNTEER, contributing their valuable time and efforts to this important project without taking a salary. To learn more about the committee and the UCM residency program, please visit https://aaucm.org/graduate_medical_education/. We have had a single grant from the American Academy of Urgent Care Medicine and I have personally donated close to $40,000. But I can no longer support this alone! Please help us move forward to a better and brighter future for physicians, patients and our communities. Okay, I have just personally donated $5,000.00 to this cause. We are at $9,000.00. Who can help some more? We are slowly getting there. Checks are coming into the office, and we are getting some here. The most important thing - SPREAD THE WORD. All physicians must know there is a better way to do residency training. It is time to move to that better place now. So, everyone wants to know about the symbol for our group. Here is what I was thinking when I made this symbol (with a lot of help). It is the tree of life. Interwoven are people of all ages. Race, religion, color, or any other artificial labels applied by society ... all don't matter. We see them as individuals and patients. 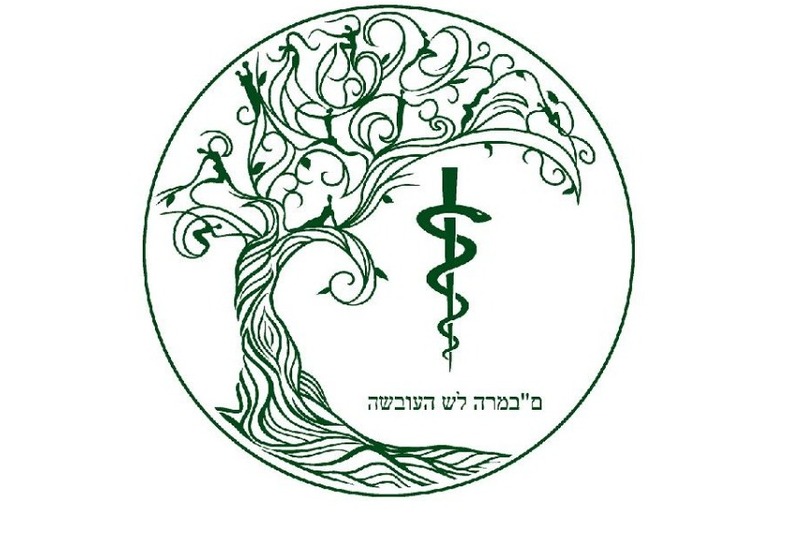 The Rod of Asclepius is the true symbol of medicine. It connects us to ancient times, and the foundation of medicine - not what outside pressures attempt to shape medicine into anew. Finally, the Oath of Maimonides. Written in the original language and title, also unchanged. It represents Physician's original oath to their Patients and Practice. It is the Oath given at graduation from most medical schools. The color is Emerald Green. It represents healing and fertility. The blue found in most emeralds represents a steadfast bond. I found an artist whom was selling his ideas and sketches. I purchased the rights, then with the help of a graphic artist, we did some heavy changes that I envisioned. We added the other components, and made this symbol truly created and owned by us. Hope this helps.